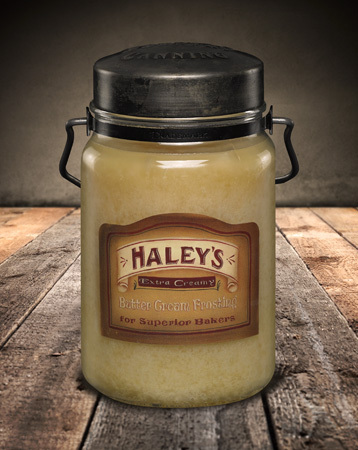 Haley's Butter Frosting 26 oz. About this Fragrance ~ A rich sweet vanilla butter-cream frosting fragrance. Heavenly notes of pure vanilla and creamy butter coat the top, while silky white vanilla shavings and warm cake batter warm the heart. A pinch of white sprinkled sugar enhances this almost-edible frosting fantasy!